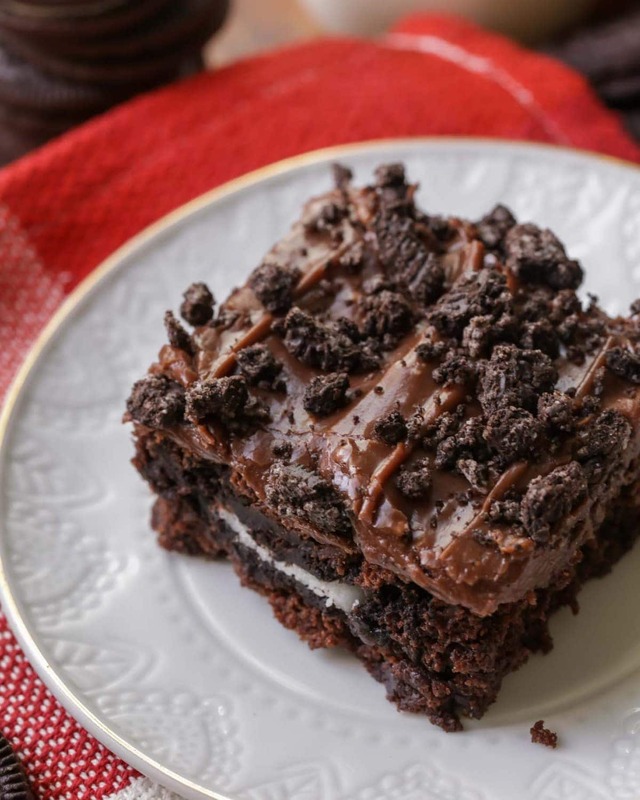 Everyone loves these Chewy Fudgy Oreo Brownies with a layer of Oreos in between! They’re also topped with a creamy and chocolatey frosting with crushed Oreos taking regular brownies to a whole new level!! This past Sunday I was assigned to bring a dessert to my family’s. 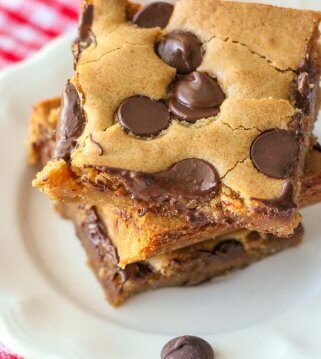 I was hoping to find something really easy and saw this recipe from AllRecipes that I knew I wanted to try. Being long time fans of OREOS and BROWNIES, I knew they’d be a hit. Unfortunately, I couldn’t stop just there and had to make a frosting to go with them – since everything is better with frosting! Am I right?! 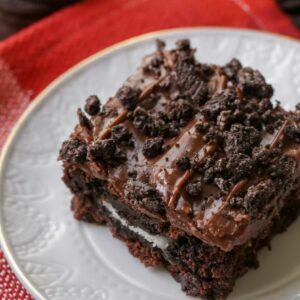 We love that the recipe ended up being so simple and that it combined all the delicious-ness of OREOS with chewy, fudgy brownies. 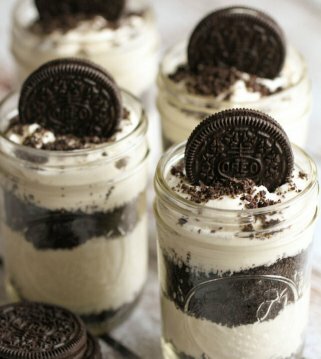 Adding the creamy frosting on top with crushes Oreos took it to a whole new level by making it a new family favorite. These brownies are BEYOND simple! Just start with your favorite packaged brownie mix. Make it by following the instructions on back. When it’s time to pour the batter in a greased pan, just pour 2/3 of it. From there you will add 12 -15 OREOS on top of the batter and then you’ll top it off with the remaining batter. These bad boy will cook for a bit and then after letting them cool you’ll make the frosting. You’ll combine the frosting ingredients on low heat until they’re well combined. 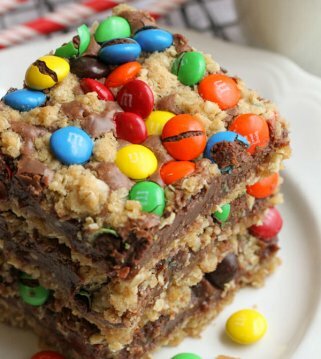 This will be spread over the brownies and will then be topped with crushed OREOS. Yum!! 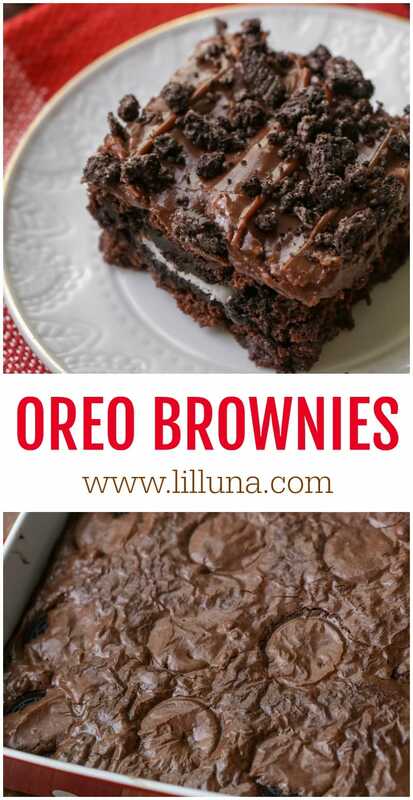 We almost always have Brownie mix and OREOS on hand, so you better believe this will be a go-to. It’s perfect served on it’s own or with ice cream. YUMMY!!! 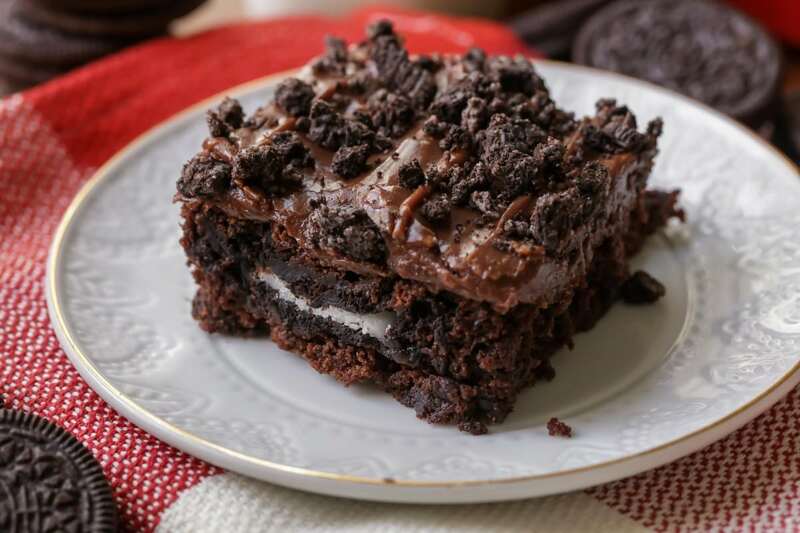 Everyone loves these Chewy Fudgy Oreo Brownies with a layer of Oreos in between! They're also topped with a creamy and chocolatey frosting with crushed Oreos taking regular brownies to a whole new level!! Prepare brownies as directed on pacakge. Pour 2/3 the batter into greased pan. Place 12 - 15 Oreos on top and pour the remaining batter over it. Bake. Once brownies are cool, melt chocolate chips and cream cheese in a small pot until combined well. 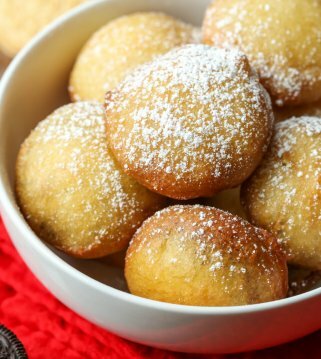 Add powdered sugar and vanilla and stir together. 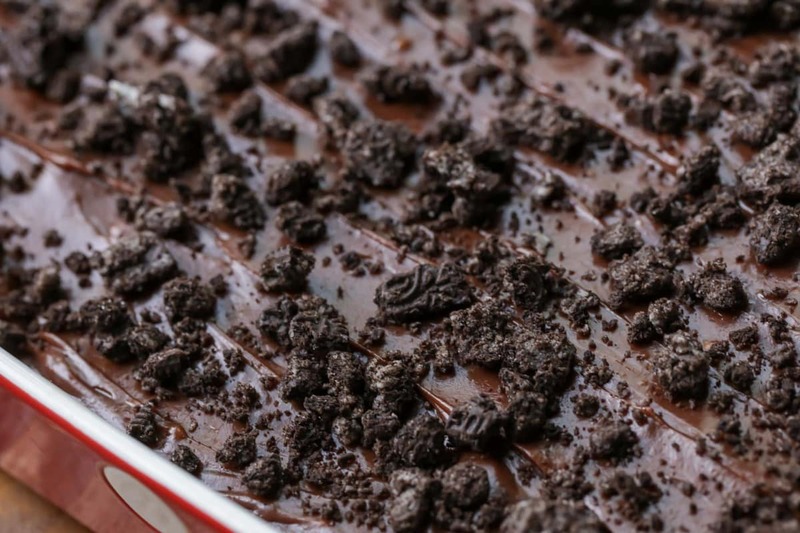 Pour frosting over brownies and top with remaining Oreos that are crushed. ENJOY! Cute! And delicious I’m sure! Oh, these sound delicious! Love the frosting! looks simply sinful. Great Job. quite enjoyable and also the blog post was indeed a very good read. I found the red Oreos ONLY at Target at Christmas. The grocery stores and WalMart (surprisingly) didn’t have them. Bought 3 boxes (yeah) but then didn’t use them so this recipe will be perfect. Walmart usually has the pink strawberry flavored Oreos so those should work well if people can’t find the red. 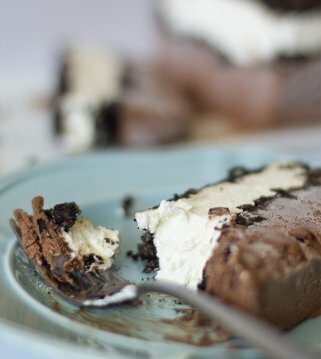 Brownies with cream cheese and Oreos on top – what could be better. 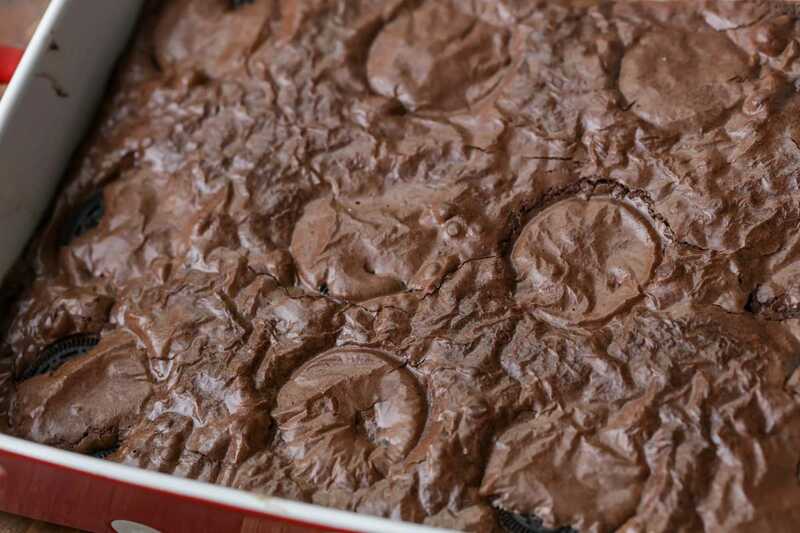 The amount of topping needed will make a difference if you’re baking the brownies in an 8X8 or a 9 X 13. 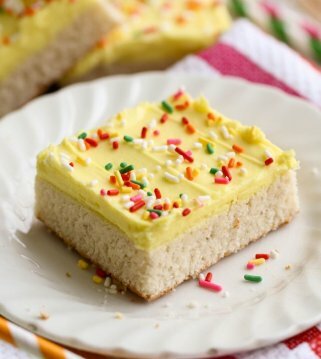 I’d like to make this tomorrow so if you get this in time, I’d really appreciate knowing if I need to double the topping recipe. It looks sooo good and I have the red Oreos. YES! Please let me know – tonight – if at all possible. Much appreciate your response. Wow! I love the whole oreos in the middle of the brownie!